Over the last 10 years, major outbreaks of dengue fever have occurred across Queensland; in the Torres Strait, Cairns, Mossman, Innisfail, Tully, Townsville and Charters Towers. The number of reported cases is on the rise across the country – more than 2000 cases were confirmed in 2017, a 20-year high – but the Sunshine State is at particularly high risk of an epidemic. That’s because north Queensland and parts of central and southern Queensland are home to the Aedes aegypti mosquito: One of the few types of mosquito that can transmit dengue from person to person. Health authorities take dengue – also called 'break-bone fever' – very seriously. There are a number of strains, and catching different types, even years apart, can result in bleeding gums, persistent vomiting, severe shock syndrome, leaking capillaries and death. When someone is found to have dengue in Queensland, an incident management team springs into action; environmental health officers are scrambled to alert all residents within 50 metres of the infected person’s home, spray bug-kill and conduct yard inspections for breeding sites. GPs and hospitals in the area are put on high alert and advice is issued to local media. They then interview the patient and take a comprehensive travel history to gauge how far the virus may have been spread during the symptom-less incubation period. Jurdak and his team at Data61’s Disease Networks and Mobility (DiNeMo) Project are busy working on new methods of tracking the spread of dengue, leveraging huge datasets of people’s movement around the state in the hope of predicting where the next outbreak will occur. Their techniques – the latest model of which was published in the Proceedings of the National Academy of Sciences (PNAS) journal last month – are proving to be quicker and easier than patient interviews and just as accurate. “It’s a valuable first step towards being able to project into the future. Can we say, from what we know now, what is going to happen in a week or a month and then help Queensland Health move towards a preemptive response approach rather than the reactive?” he says. The Aedes aegypti mosquito – known simply as the dengue mosquito – likes to live close to people. It is rarely found far from human habitation, and well adapted to living in people’s homes. It usually breeds in man-made containers like tyres, pot plants and roof gutters, and lives in dark areas under beds and furniture and behind curtains. It doesn’t travel far, rarely more than 200 metres, meaning when dengue spreads around a region, it is because of human carriers getting bitten. Understand the movement of people, and you better understand how dengue spreads. The researcher’s model – which they call the Latent Influence Point Process (LIPP) model – takes in population movement data from a number of sources. Queensland Health provided anonymised records of all infected individuals – including onset dates, postcodes and place of acquisition – in all outbreaks between 2002 and 2016. “That gives us a valuable dataset about what has actually happened, and we use that as a ground truth to train our model,” Jurdak says. The researchers combined the records with other datasets, including the 40,000 surveys carried out by Tourism Research Australia each year, and airline passenger arrival and departure statistics. They also used geo-tagged tweets to understand people’s travel patterns at a more local level. While other research has used an individual’s call and text records – such as a 2012 study that tracked 15 million mobile phone users in Kenya to explore how malaria spreads – privacy and ethical considerations ruled that kind of data out. “A person might tweet that they’re at work and bored or at a sporting event or concert or stuck on a train. We take that information and establish the movement flows between the suburbs and CBD of a city and regional areas,” Jurdak explains. The researchers are now exploring what other public people movement datasets can be added to the mix, such as Foursquare location check-ins. “Rather than use sensitive information, we use less sensitive information. Knowing its lower resolution [and that the datasets] have their limitations, when we combine them we get something greater than the sum of the parts,” Jurdak adds. Eventually, the research will develop into a ‘full decision support tool’ used by health agencies to “look into the future” and determine areas at risk of outbreaks. The tool will adapt to factors like time of year and incidence rates in countries where dengue is endemic. "Understanding how these infections spread once they reach Australia means we can predict when and where an outbreak is likely to occur – this means hospitals and biosecurity agencies can be as prepared as possible,” says DiNeMo researcher Dr Dean Paini. "When it comes to biosecurity, time is always the enemy, so being able to direct resources to the right place, at the right time can help diagnose and treat infected people as quickly as possible," he added. That effort will be bolstered by DiNeMo’s other recent work which proposes a network model to predict the monthly number of dengue infected air passengers arriving at any given airport. The model can also be adapted to track and predict the spread of other diseases. Dengue fever is ranked by the World Health Organization as the most critical mosquito-borne viral disease in the world. It is also the most rapidly spreading, with a 30-fold increase in global incidence over the past 50 years. 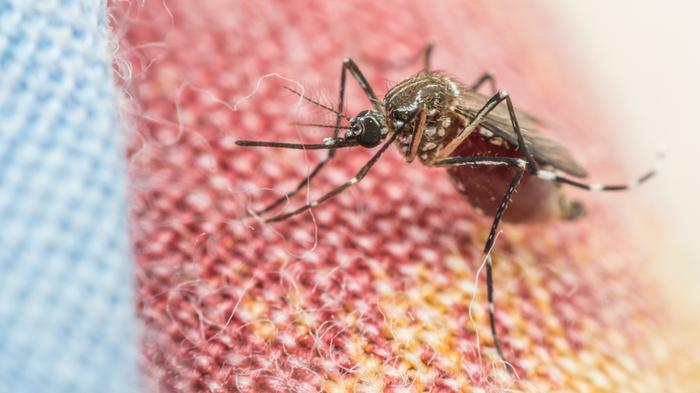 Zika, chikungunya and yellow fever – which are also transmitted by Aedes aegypti – are also on the rise and result in thousands of deaths every year. “As global population numbers increase, and we see a reflective increase in travel and urban sprawl, autonomous biosecurity tools like this will be critical to help protect Australia’s human and environmental health,” said Paini.